Very large album format, 144 pages, chromo paper with a color photograph of the dish on each page. There are authentic French recipes that ensure perfect results every time. 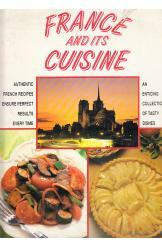 This book is an enticing collection of tasy dishes.